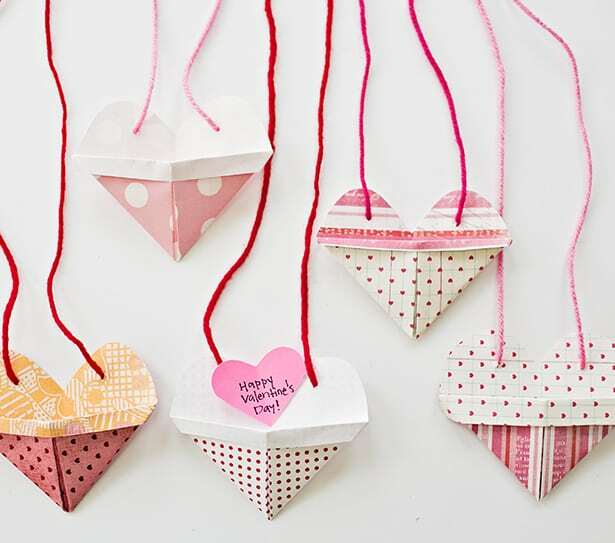 Make these cute origami heart pockets and hide a secret message inside! 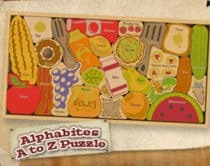 These are fun for kids to make and write notes to their classmates, friends and loved ones. We turned them into necklaces to wear cute accessories. 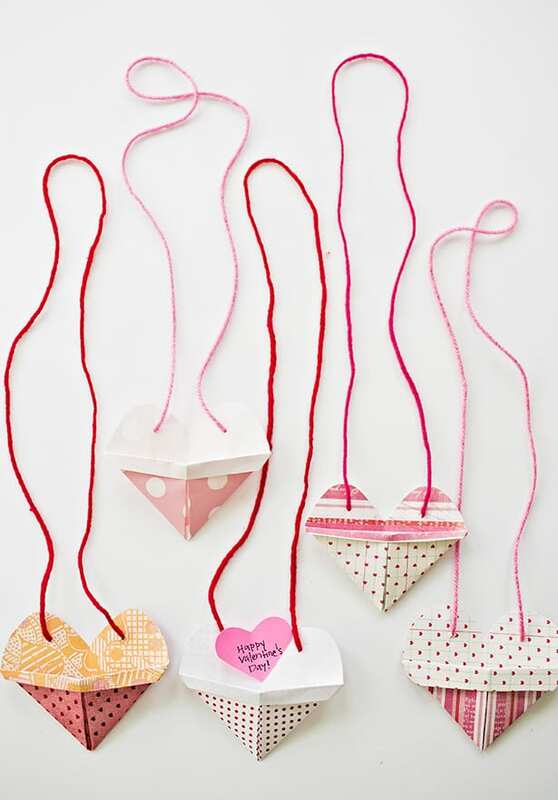 They make sweet Valentine’s Day favors from kids. 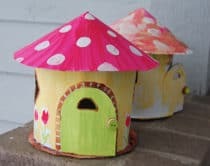 You can also opt to add a sweet treat or candy inside! 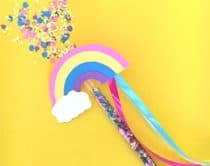 Watch the video above for the tutorial or step by step photos below. Step 1. 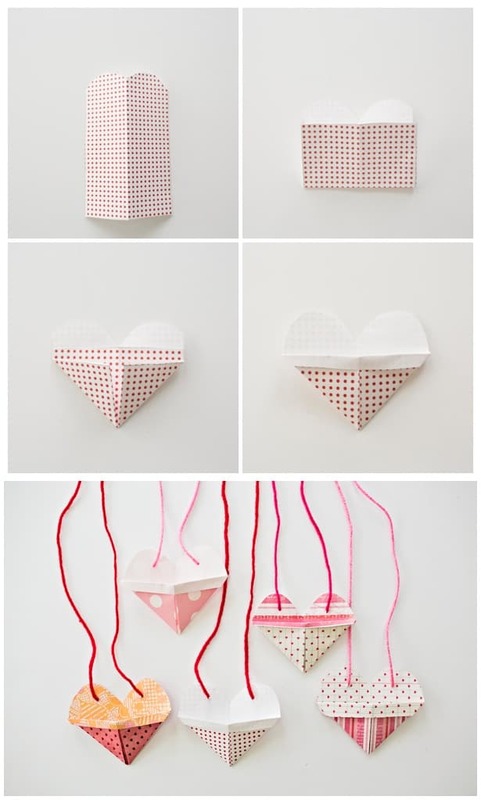 Cut your paper into 4″ x 6″ rectangles. 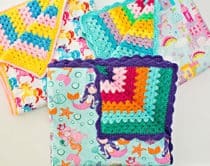 You can make them bigger just use this ratio dimension. Step 2. Fold in half lengthwise, cut a semicircle at top as shown. Step 3. Fold the paper up to the top of the semi-circle. 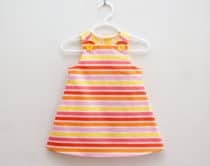 Make two pleats and then fold the remaining crease down. Tuck the back flaps and use double stick tape to secure if you’d like. 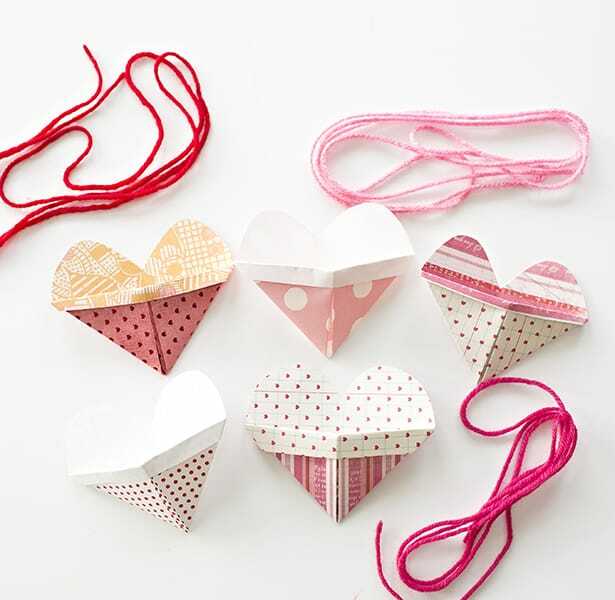 These origami heart pockets are super easy to make. My 7 year old daughter made a bunch for her friends! The video explains the steps better than the photos so we highly recommend watching it! 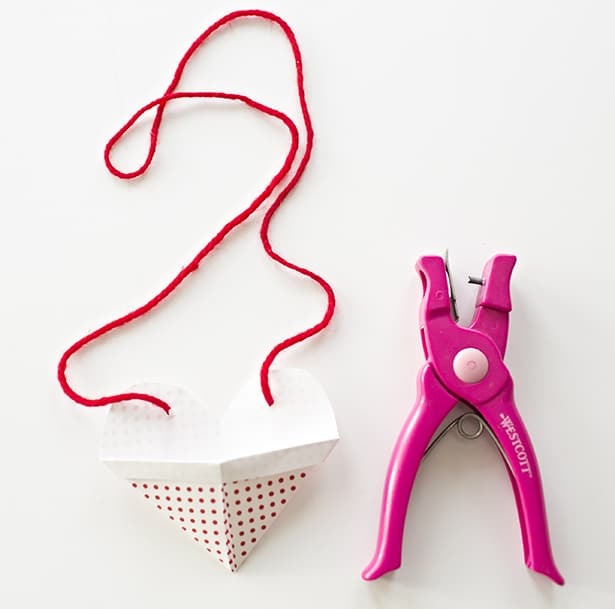 To turn into necklaces, you just need a hole punch to string yarn through. 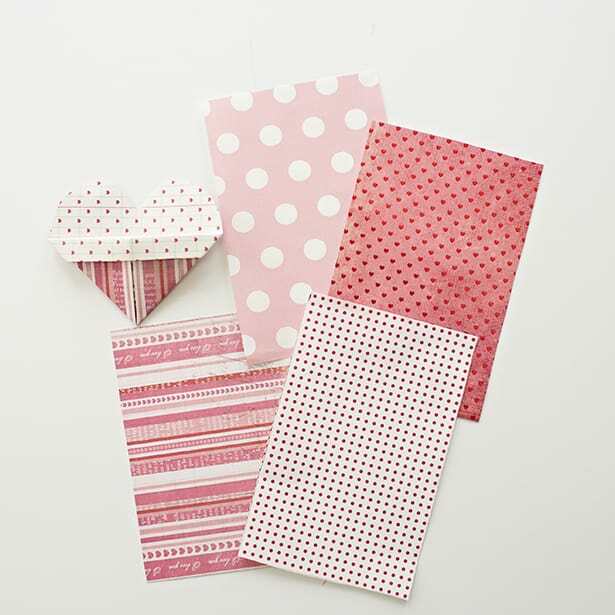 Secure the back with knots or cute washi tape. 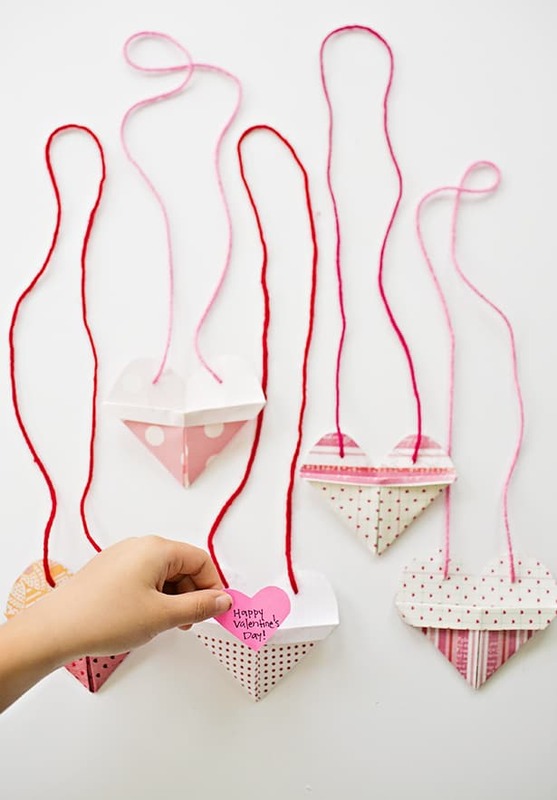 Kids can put a secret hidden message inside the heart pockets or add a sweet treat! 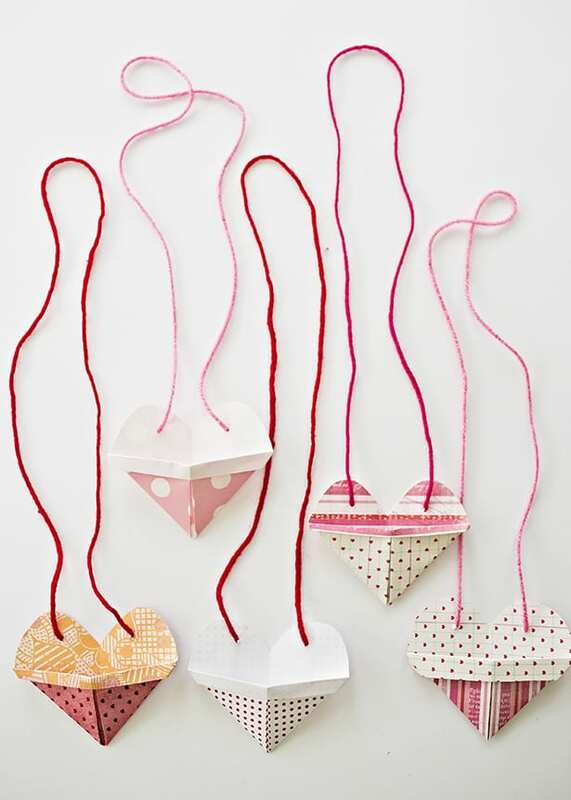 Wouldn’t these be fun to hand out as Valentine Class Favors? 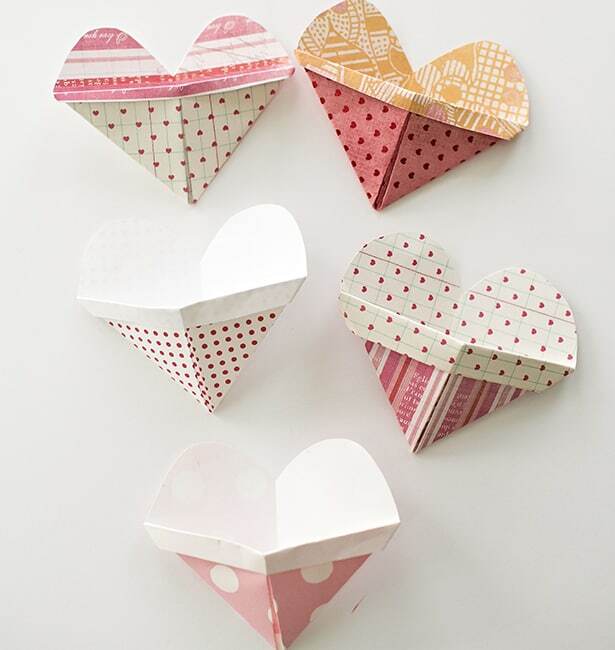 Check out more cute Valentine origami projects. 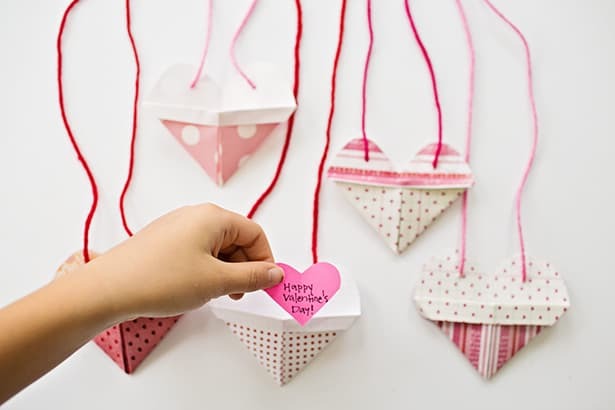 How are you celebrating Valentine’s Day with the kids? 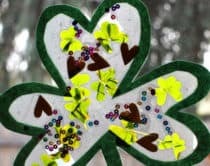 Get more creative Valentine projects for kids.